At the Port of Lost Wonder entrance gate. Like I mentioned in my Easter post here, we got an exclusive invitation for the pre-view of the Port of Lost Wonder (POLW) when we renewed out Islander pass yesterday. The organizers invited 100 families with Islander pass to be a part of the POLW complimentary trial and we were among the lucky families to witness the private event. 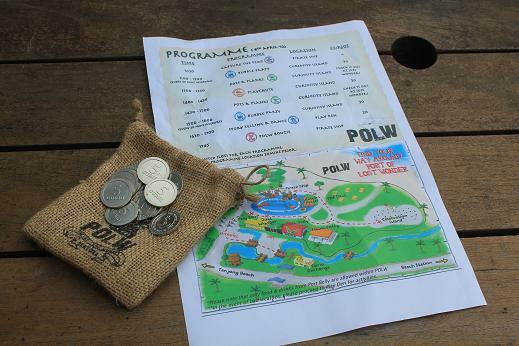 POLW curio coins, map and programme details. We registered at the Curio Exchange booth and Kyla was given curio coins and POLW map with the details of the trial opening programme. The pirate ship before the opening. The parents and kids patiently waited for the pirate ship water works. I overheard one kiddo telling a POLW staff, "everybody is waiting for the water fun, what time are you opening the pirate ship?" LOL! 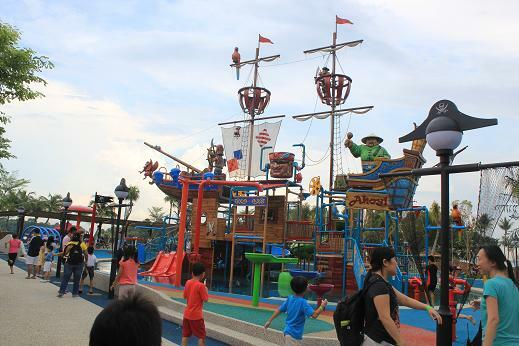 Trial opening of the pirate ship water works at POLW. Minutes later, the countdown began, 3... 2... 1! The pirate ship water works is now OPEN! All the kids and kids at heart went wild! LOL! The event is supposed to be for 3-10 year old kiddos but I saw younger (3 below) and older kids (10 above) . Kyla is at the borderline, she's turning 10 this coming August. 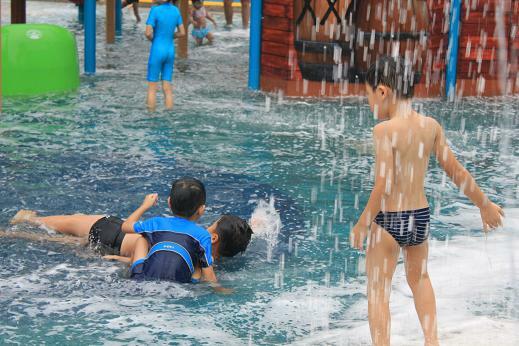 Of course the parents have great excuse, they have to be with their kids while having fun in the water. LOL! Luckily Kyla is old enough to take care of herself. 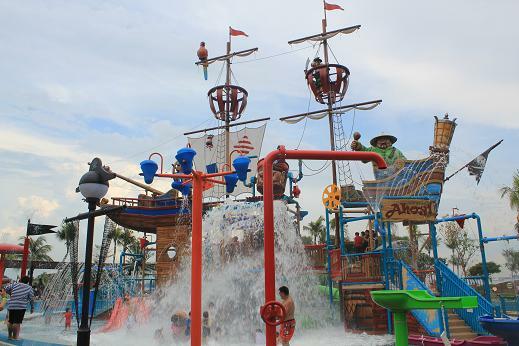 I would have an excuse when Baby Gian turns old enough to play in the pirate ship and have water fun. The kids having a blast at the pirate ship water works. 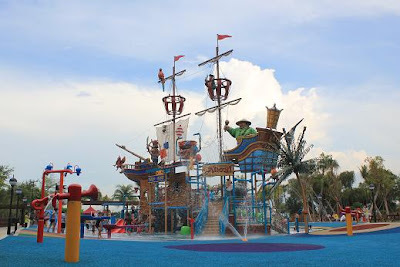 Pirate Ship water works is similar to Singapopre Zoo's Water Play, Jurong Bird Park's Birdz of Play and Wild Wild Wet's Professor's Playground. 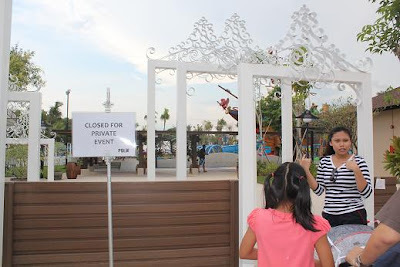 Kyla fervently wished we could come back again when the Port of Lost Wonder officially opens for the public on the 14th of April, 2012. Port of Lost Wonder is definitely full of wonders for the kids. Parents with young kids, save the date! 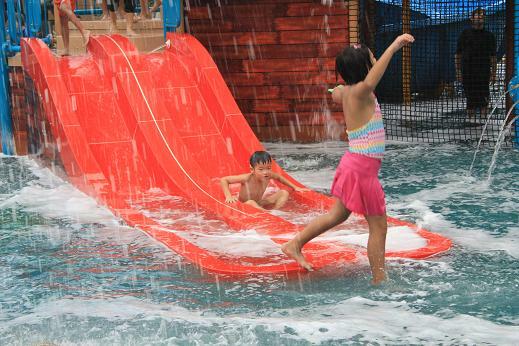 Your water-loving kids will surely enjoy the Singapore's first kids' club by the beach. 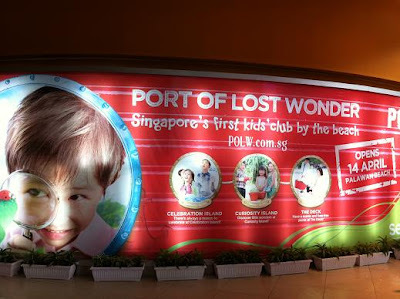 Port of Lost Wonder is Singapore’s first kids’ club by the Beach, designed to provide a unique family experience. 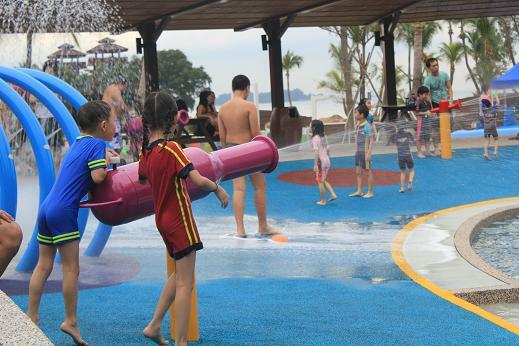 Targeted at children aged 3 to 10 years old, the attraction houses a signature water play area, themed islets for picnics and leisure activities and distinctive retail and dining experiences. Together with a myriad of specially-designed activities aimed at satisfying wonder, curiosity and connection, it is here where families can come together to explore and discover new experiences and create unforgettable memories. What a wonderful place! It does look and sound as though the kids had a great time! Thanks for sharing the fun, Cher! Marvelous captures!! Your Gian's update always is enjoyable to read Che, thanks for sharing the joy of mommy-hood. You all are blessed to have each other. Enjoy another year of fun using your Islander Pass. 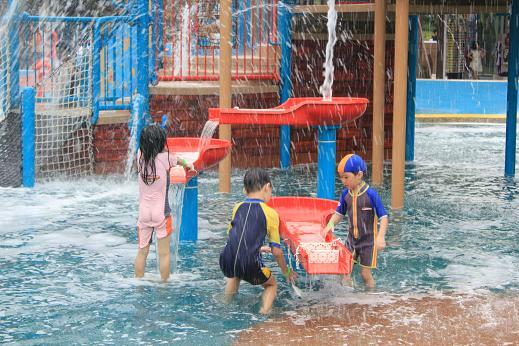 What a wonderful way to inspire the little ones to enjoy outdoor fun! Great photos! Wow this is a very beautiful place to bring my pamangkin's next month. Do they have a website? I hope it's not too expensive to go to this place ^_^ My pamangkins would enjoy here and me too ^_^ Thanks for joining Water World Wednesday I do appreciate it. that is definitely a great place to stay at together with your family during the weekend or holiday. i wanna go there with my kids soon. thanks for the great share.